Anyone would like a bigger house to accommodate their ever-growing family. Rather than buy a new home, house extensions are quickly becoming the ideal route to take. Are you thinking an extension might be a problem because you don’t have enough garden space or aren’t looking forward to destroying your gorgeous garden? No, instead of extending on the ground, you can extend your home upwards. Working in and around Black-Rock, Milosh Loft Conversions are a Brighton-based loft-conversion company. We can assure you that before long, we can help you increase the usable space and value of your home. Every client is different, so every new project we embark on is a unique one completed using our tailored loft conversion process. Our team is waiting for your phone call; get in touch right now and we can discuss your vision for your home. A loft conversion done can be for a variety of reasons as seen amongst different homeowners in Black-Rock. The foremost reason for most people is to increase the amount of space available for the family’s use. If you would like to increase your living space, you could use the new space as a game room or a hobby room. Another useful way to utilise a loft conversion is to turn it into a home office. As more people begin to realise the kind of value a loft conversion can add to their home, they’re choosing to convert their lofts to make their homes more valuable. You might also want to consider loft conversions because of their unique benefits over other ways of creating more space. You wouldn’t need to wait too long for a loft conversion project to be completed, unlike other home extension methods which may also require garden space. It doesn’t cost that much compared to getting a new house. As a plus, you’ll get to keep your beautiful garden and you wouldn’t even have to worry about planning permission. We guarantee that your new room will be finished exactly as you intended it to be, down to the last detail. At Milosh Loft Conversions, we have worked with many homeowners in Black-Rock to help them realise their dreams of having more spacious homes. How much value will be added to your Black-Rock home if you do a loft conversion? Studies prove that carrying out a loft conversion can improve the value of a house on the market. For instance, a Nationwide Building Society study indicates that the value of a house can go up by as much as 20% with the addition of a loft conversion. That could mean a £20,000 increase in value for a property valued at £100,000. It’s a win-win situation with a loft conversion because you’ll be able to improve the capacity of your home while improving its value, as long as you don’t mind the cost and hassle of getting it done. Are loft conversions really that beneficial? Absolutely. Whether you want a new bedroom and bathroom or need space for a nursery, getting a loft conversion is definitely worth it. Before long, you’ll have your dream house as you imagined it to be. We must warn you that it will be messy as we work, but you’ll have no reason to regret it. Is loft conversion in Black-Rock a project that requires Building Regulations approval? Your obtaining Building Regulations approval for your property in Black-Rock depends largely on the building and the scope of work to be carried out. For buildings two or more storeys high, there are specific requirements guiding alterations. The safety of the fire escape system and stairs are particular concerns and that’s why these guidelines have been put in place. 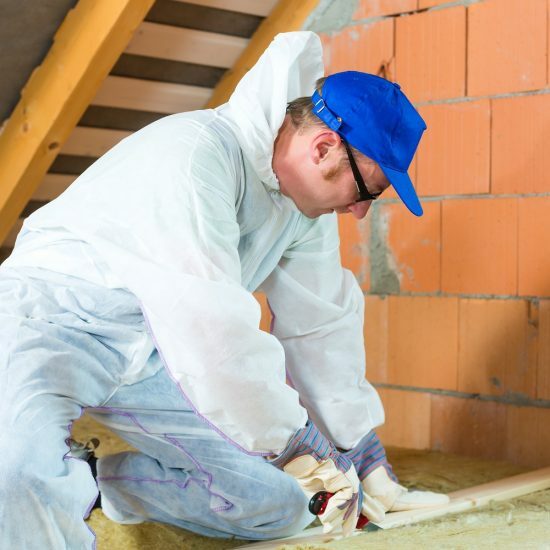 These guidelines are also in place to ensure that the new loft conversion has proper sound insulation, the new floor is structurally sound and the entire structure itself, as well as the roof, is solid. As the extent of work differs, the Building Regulations that apply also vary. If you’ll be doing extensive work like installing a stair, lining the wall of the loft or boarding it out, then there’ll most likely be regulations to guide the job. Having worked on loft conversions in Black-Rock, you can trust us at Milosh Loft Conversions to work according to the guidelines that apply here. You can trust us to ensure that you get any approvals necessary to complete work on your property. What would it cost to have a loft conversion done in Black-Rock? Starting from £20,000, there’s a wide range of prices you could pay for loft conversions. What you eventually pay will be determined by factors such as your location, the size of the extension and the number of dormers. You don’t have a problem in Black-Rock as far as location is concerned because it’s not one of the more expensive options in the UK. In addition, Milosh Loft Conversions offer some of the most competitive prices on the market. What types of loft conversions can I get in Black-Rock? The type of loft conversion used for your project will be determined by a number of different factors. One of the most important considerations is your budget. The next point to consider is how much room is available for a loft conversion and the kind of roof your building has. Another important consideration is whether or not you need planning permission. Rooflight conversion; involves creating a loft conversion without adding any more space to what you already have, but roof lights will be added to the back and front. If desired, we may also add windows into the gable walls. Since we won’t be changing much, this is the most cost-effective option. Dormer conversion; here, the aim is to expand the space available by putting dormer windows into the pitched roof plane. We may not need to fit more than two windows if only a small extension is needed for what you have in mind. On the other hand, if you need something bigger, we can build a room with full headroom spanning the entire width of the roof. Hip-to-gable conversion; this type of loft conversion applies to ‘hipped’ rooves, which slope downwards on all four sides. Normally, this kind of roof will have little usable space, but we can increase the space by fixing in a gable wall to replace one or more hips. We would then extend the roof over the gables, thereby creating more volume. Gable-to-gable conversion; our team will rebuild the roof at the back after building the gable wall, with the end result of raising the pitch to make it slightly vertical and high as the ceiling. The result is a wall with windows. We’re likely to use this type of loft conversion if yours is a terrace house. It’s ideal for creating a large space with full headroom. Mansard conversion; our team will be doing major work to install a new box-like structure in place of your roof. This essentially adds another storey with four tile-hung walls that are almost vertical. On top of the new structure, we’ll place an almost flat roof. Will a loft conversion be possible for every kind of house? Loft conversions can be done on most kinds of houses. That being said, buildings with a certain kind of roof pitch and shape can be problematic for loft conversion. We can schedule an appointment to come see your house in order to determine whether we can carry out a loft conversion. We’ll need to inspect your house to determine whether it can provide the needed support for the new structure. It will be easy to carry out a loft conversion if your roof has a gable end wall. On the other hand, if your roof is an intersecting pitched one, a hipped one or a trussed rafter one, we may face challenges when converting the loft. Even if you have a complex roof, you can trust us to do a good job on your loft conversion as we have worked on many different types of rooves across Black-Rock. Why choose Milosh Loft Conversions for your loft conversions in Black-Rock? For us at Milosh Loft Conversions, we go the extra mile to ensure we do a fine job. We take our time to understand your vision and then make that our mission. From day one to the last day of the project, you can expect us to deliver a perfect finish, fantastic service and a job completed in good time. Black Rock is an area of land that is underdeveloped close to Brighton Marina within the boundary of the city of Brighton and Hove. The Black Rock area name is also given to the portion of land just to the east of the Marina. Black Rock is on the South East coast of East Sussex, England near the Brighton Naturist Beach, with Brighton Marina Village to the east, Kemptown to the north, and the English Channel to the south. Black Rock is close to the Brighton Marina outer harbor. The A259, Marine Road, passes by the Black Rock area. Blackrock is situated midway between Brighton and Rottingdean on the South East coast of the United Kingdom. The Black Rock area is managed by the Brighton and Hove city council. The Black Rock area can be viewed from the Brighton Marina Sea Wall. This area of the city of Brighton and Hove is small, but well located on a beach near Black Rock Station (Marina).